Metastatic liver cancer is a common term used for liver cancer when it has spread outside the liver in your body. Normal liver cancer is generally confined to your liver and doesn't spread to other organs outside your liver and is called primary liver tumour. Metastatic liver cancer is a common term used for liver cancer when it has spread outside the liver in your body. Normal liver cancer is generally confined to your liver and doesn’t spread to other organs outside your liver and is called primary liver tumour. 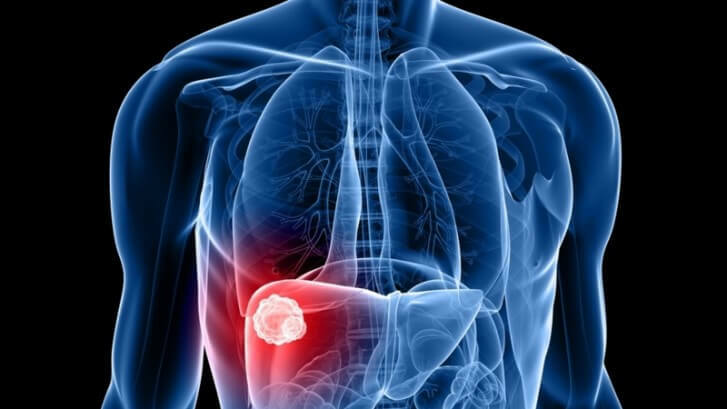 The most common liver cancer reported is hepatocellular liver cancer. The liver cells called hepatocytes are generally affected during liver cancer. Apart from hepatocellular carcinoma, a rare form of liver cancer is also reported called angiosarcoma and hemangiosarcoma. These rare types of cancers start developing in the cells that line you liver blood vessels. The liver cancer that is generally reported in children under the age of 4 is called hepatoblastoma. These visible symptoms indicate the presence of liver cancer in your body. You need to consult the doctor to know the exact root cause of liver cancer and start the treatment at the earliest. There are many risk factors that can result in development of liver cancer in your body. The main cause of liver tumour is coming in contact with the hepatitis virus that generally leads to development of liver cancer. Liver cancer generally starts developing in your body when your liver cells undergo certain changes like mutations in your DNA. The genetic material DNA provides the instructions for all the chemical process in your body and when mutation occurs in these genetic material it can result in formation of liver cancer. Apart from hepatitis virus, there are certain other factors that can increase the risk of liver tumour in your body. Chronic infections with HBV and HCV virus can increase the risk of liver cancer. Cirrhosis, a condition in which the scar tissues formation is seen in your liver can also increase the risk of liver cancer. High blood sugar level can increase the risk of liver cancer. Non alcoholic fatty liver disease, a common condition that results in accumulation of fats in your body can also lead to liver cancer. Consumption of aflatoxins contaminated foods can also increase the risk of development of liver cancer in your body. Get yourself vaccinated for hepatitis B virus. Get tested for hepatitis C virus infection. Go for regular checkups if you are suffering with any liver infection. Keep your doctor posted regarding your family history of liver cancer. Have balanced healthy diet and exercise regularly to maintain a healthy weight. Avoid excess consumption of alcohol as it will increase the risk of development of liver cancer. Liver cancer can be treated by a minimally invasive procedure. You can consult Dr. Abhilash Sandhyala who is the best Interventional Oncologists in Hyderabad for liver cancer treatment.